It’s been years since Abby O’Brien Winters set foot in Chesapeake Shores. The Maryland town her father built has too many sad memories and Abby too few spare moments, thanks to her demanding Wall Street career, the crumbling of her marriage and energetic daughters. 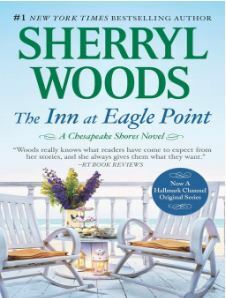 Then one panicked phone call from her youngest sister brings her racing back home to protect Jess’s dream of renovating the charming Inn at Eagle Point. In this groundbreaking narrative of literary detection, Christine Woodside reveals for the first time the full extent of the collaboration between Laura and her daughter, Rose Wilder Lane. Rose hated farming and fled the family homestead as an adolescent, eventually becoming a nationally prominent magazine writer, biographer of Herbert Hoover, and successful novelist, who shared the political values of Ayn Rand and became mentor to Roger Lea MacBride, the second Libertarian presidential candidate. Drawing on original manuscripts and letters, Woodside shows how Rose reshaped her mother’s story into a series of heroic tales that rebutted the policies of the New Deal. Their secret collaboration would lead in time to their estrangement. 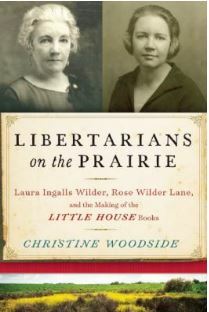 A fascinating look at the relationship between two strong-willed women, Libertarians on the Prairie is also the deconstruction of an American myth.